A British greyhound kennel. Photo by Greytexploitations, 2011. Last week, greyhound advocates in London won a major victory when a proposal to build affordable housing at the former Walthamstow dog track was approved. The approval of this housing plan means the end is finally near for one of the most prominent dog tracks in the United Kingdom. There is, however, one last chapter in this important debate. Next week, London Mayor Boris Johnson will weigh in on the approved housing application. The Mayor has the power to reject the plan, which would give hope to dog racing supporters that the track can be reopened. 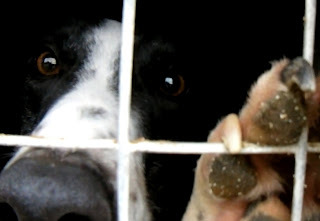 Countless dogs suffered and died at Walthamstow. Greyhound advocates from all over the world should be grateful that the track is closed, and may soon serve a new purpose in the community. At the same time, we must all send Mayor Johnson a clear message that dog racing is cruel and inhumane and the track should not be reopened. Please sign this petition by Greyhound Safe, urging Mayor Boris Johnson to not support a reintroduction of dog racing at Walthamstow. More than 1,500 people have signed this petition in only a few days, but I know we can do better than that. Please e-mail the mayor directly at mayor@london.gov.uk and tell him why dog racing is cruel and inhumane. Finally, please watch this powerful video by Greyteploitations to learn more about why Walthamstow should remain closed. Then, forward this video on to others. As a global community, we can have an impact on this important debate. Please join me in helping this effort. 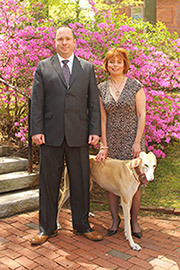 The greyhounds can't speak for themselves, and are counting on us to be their voice.